We have had our seat for 4 years. It has served us well and looks great... once I wash all the kid grime off ;). If you wash the covers gently and mostly air dry them they will last and look great. Only now on year four am I starting to notice the fabric showing some wear where my son slides across the arm rests. We are so satisfied that we are getting another for my daughter. Yes the seat is heavy and so it makes transferring it not super easy. However it's heavy for a reason!! Safety!!! I don't mind the workout because I know my kids are safe in those seats! I did a lot of research on carseats when my twins outgrew their infant carriers. 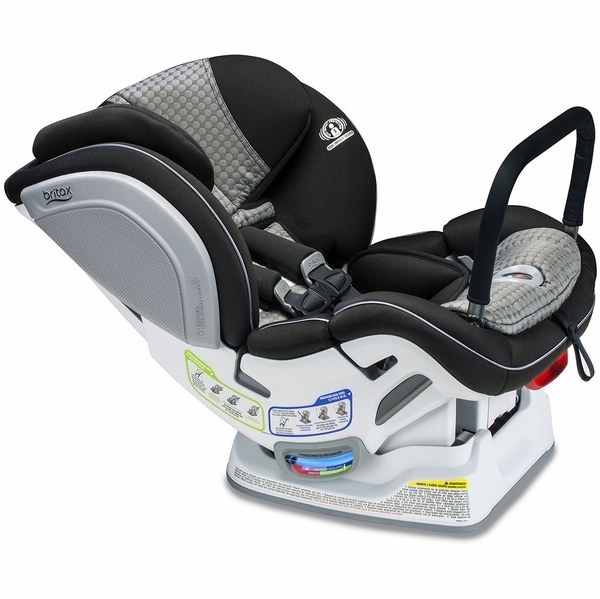 Consumer Reports and several other review sites recommended this Britax Advocate model. I've had it installed for a couple of weeks and so far we love them. The installation was pretty straight forward. They are much easier to get my babykins in and out of. The Clicktight harness is simple to use, and I love that it lets me know when I've got it snug enough. The seats have several different recline levels, my twins are enjoying being more upright than they were before. I also purchased separately the Britax seat liner. It's waterproof and is supposed to help make cleaning up the car seat easier if there is a diaper or food spill situation. I installed this rear-facing in captain chairs on a 2017 Chrysler Pacifica and they fit on the seats well, with room to spare between the top of the headrest and the front row driver and passenger seats. My brother-in-law is Nevada Highway Patrol and only reccomends Britax, so go with Britax! Myself and both sisters with their children have only used Britax Car Seats from convertible through booster for the last 15 years! They are solid, have a metal frame, and can withstand an impact. After being in an accident myself with my 6 month old twins, I wouldn't want them in anything else! ProsSolid, safe, and reliable! Babies are very comfortable in them too! This car seat is super easy to install. Highly recommended. I will say shipping was great. Very fast. 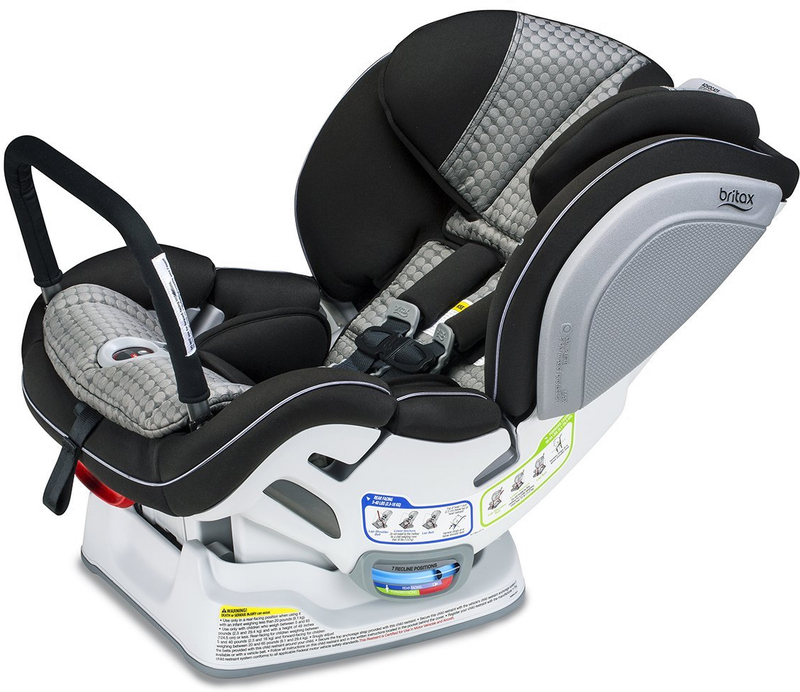 This carseat is so easy to install! It looks adorable but most importantly, my daughter is safe and happy while in it! She was screaming every car ride in her infant seat so we moved her to this one (sheâ€™s 5 months old) she has stopped crying and even falls asleep while we are driving now. It is roomy and soft and super comfy! Very happy with this seat! This seat is so easy to use and tighten. It is the best car seat I've used so far, 4th child. Highly recommend! love this seat. was hit in an accident last month, side airbags went off, and car seat did not move. sturdy and safe. that said, it's heavy and cumbersome, but for safety, that matters less to us. ProsLove the click tight option. It really makes it easier to put them in the car vs other car seats. And, then you know it's been installed properly. Love the peace of mind that this car seat provides. ConsThe bar was a little confusing for us at first to get installed correctly, but only took an extra 10 minutes to figure out. The price is steep but I feel like my daughter is riding in a tank! I love this seat!! 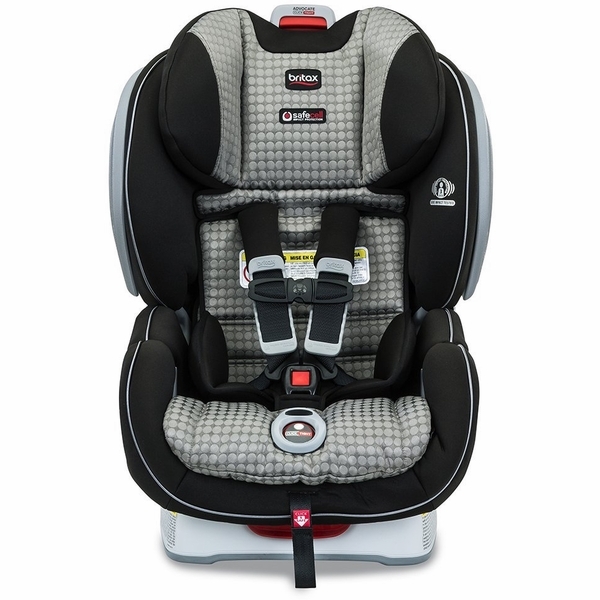 Very soft breathable fabric.. the straps get to the perfect tightness and the arb makes the seat extra safe and secure. It looks in the first place expensive, but considering the high safety and long life span of the product it's a good investment. The safety comes with a big price in space and weight. You may check it first if your car is small, especially in rear facing reclined position. For this size and weight it's still very easy to install and operate, only the handle for the reclining is a little bit difficult to reach (we using it in a Honda Civic and it's just fits a little bit tight). I bought it a month ago, I just get it today,because I'm a Chinese father.Thank you for your product,my child enjoys it! We had this product for 2 months. We tried so many times with tutorial video to set anti-rebound bar but it fits so loose that our 1 and a half year old can practically pull it off. We can't imagine how safe it is so we haven't used it at all. The dial to open the seat to set it to car is so hard I can't do without my husband's assistance. Our son seems comfortable in it so we kept it but the weight and the difficulty of the use made the review 1 star. Loved the car seat when it worked! BUT the click part broke within two years of purchase, warranty is no longer valid and the seat is stuck in my car! Bummed. This car seat is the easiest I have ever used. I had to replace the cumbersome car seat of my oldest grandchild and buy a second one so I went with these. I wish every car seat was this safe, easy to install and comfortable - according to my grandson. For the price, it's not as great as you'd hope. I recently bought this car seat and I must say that I feel let down, especially considering how much I paid. It is a heavy and bulky car seat. I have a Dodge Journey and It takes up quite a bit of room in the center seat. Any one else sitting next to it has to be fairly thin to fit comfortably. I had repeated issues with the click tight feature as once you buckle the seat in, you have to leave a bit of slack in order for the seat to click in, then you can't pull the strap to further tighten. I tried for over 30 minutes to get the slack just right so that it would both click down and the seat would not slide around. It was useless. I ended up using the included tethers and while those were easier to install, the issue, once again, with the click tight mechanism is that you have to leave a little slack for the seat to click down. Overall it's still not as tight as I would like but it's much better than using the lap belt to install. The other issue I have with this is that when you install it forward facing, you cannot adjust the angle of the seat- say, if your child falls asleep and you want them to lean back a bit. The car seats my nephews used allowed for one hand seat adjustment while it was buckled with no problem. With this seat, once you set the angle, it's what you get unless you undo the straps. I tried putting it slightly angled back in case my daughter falls asleep, and then strapped it down again and it just does not sit firmly on the vehicle as I would like. 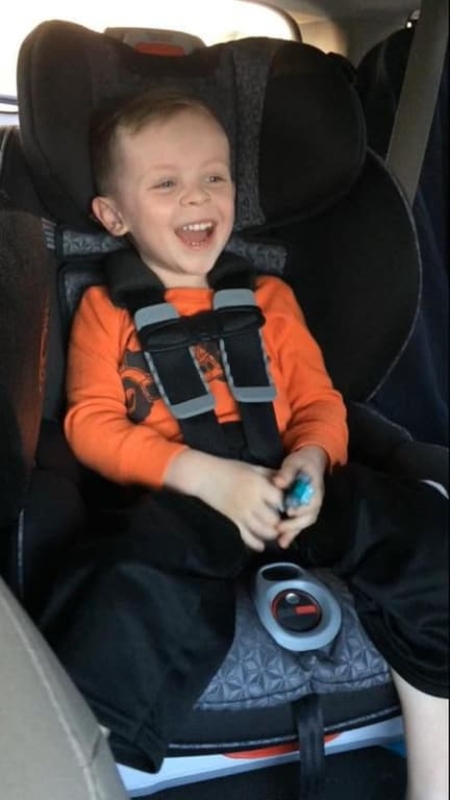 There is a gap behind the seat, between the car seat base and the vehicle seat and that causes the seat to lift at the base, closest to the vehicle seat. Other than these things, my daughter is comfortable in the car seat and it's pretty as well. I assume it's safe though I have it in the back of my mind because of the issue with tightening down the seat. If I would have read a review like this prior to purchasing, I definitely would have chosen something different. Bought this product for my 3 year old Granddaughter. I looked at the safety ratings. However, my husband & I could not figure out how to install this car seat. It took 4 State Certified Police Officers checking a web site to figure out the installation of this car seat. Directions are not User Friendly. Needs much better instructions not only for installation but also for adjustments for different size children. We were rear-ended at 50mph from a minivan while we were stopped. My 10month old was kept extremely safe and secure. I am so thankful we splurged on this model. 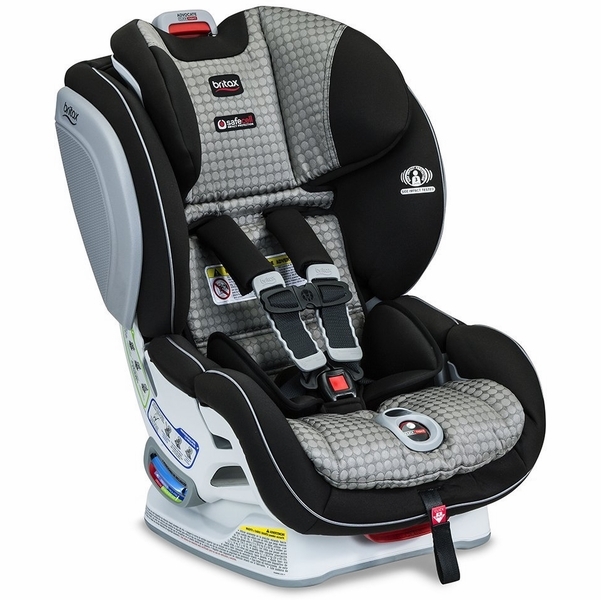 We are replacing the accident car seat with the exact same model. I will always continue to buy Britax. Thank you to the talented engineers and safety teams. You saved my babies life and I will be forever grateful. Britax is the only carseat we buy now. Our babies are comfy and safe. And with the clicktigjt it's very easy to switch the carseats from one truck to the other. So happy with this car seat! With my 4th child I thought I had seen it all. This car seat is not only easy to install, super safe and comfy for my baby but also very stylish. 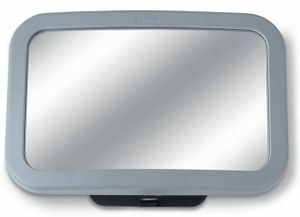 I am thrilled with this latest offering from Britax. Thank you!!!!! I have been struggling with car seats for the last 5+ years. I've hated installing them all. They were such a hassle. Also they tangled easily, were large and bulky, and heavy. Last month I learned about the Advocate and wow was I impressed. 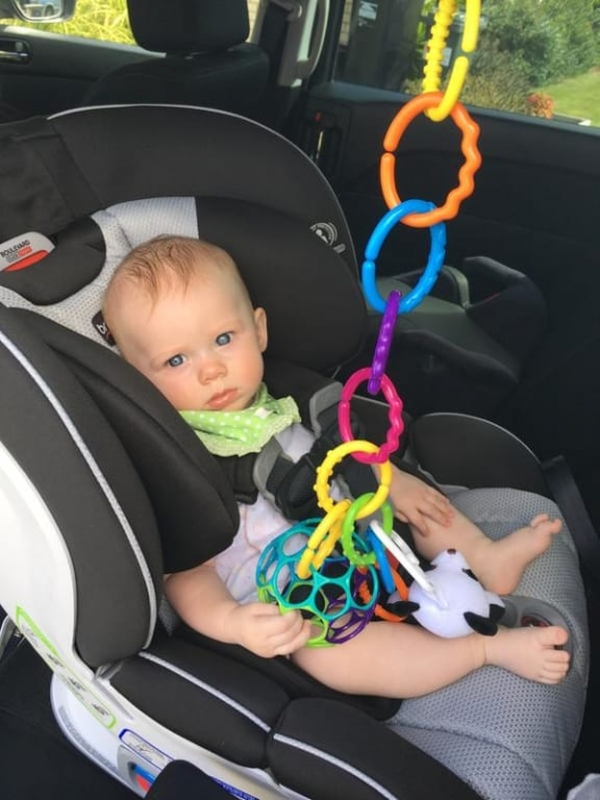 As a working parent who sometimes has to click and unclick the car seat this new click tight install makes moving your car seat a five minute job. Boom! My five-year-old even commented on how awesome the car seat was. He told me it was much more roomy and comfortable. I can't stop recommending this to everyone I know. You won't regret the upgrade. *Britax supplied my car seat, but these are my true and honest opinions. My husband and I first purchased the Britax- Advocate ClickTight about a year and a half ago. 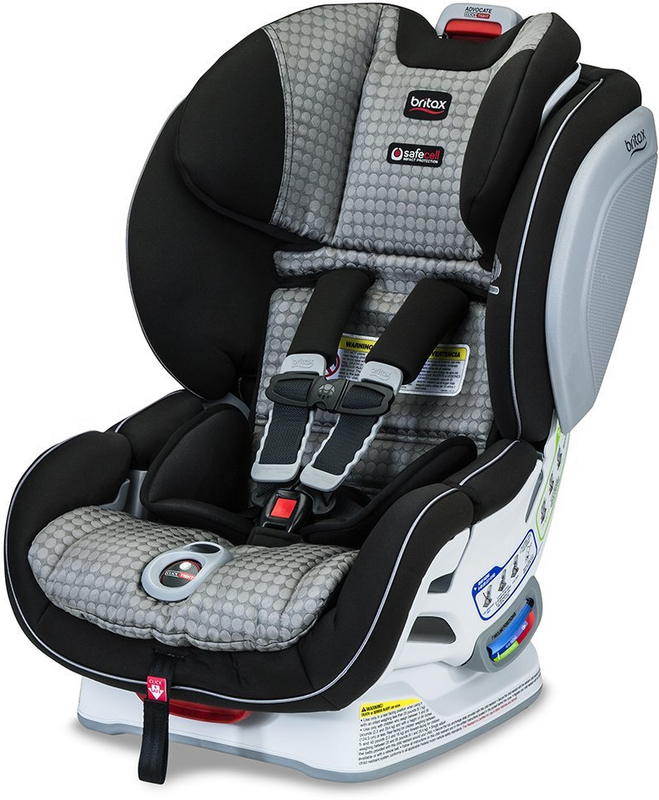 Not only do we love the carseat and its ability to keep our little one safe, we love everything Britax stands for. After owning our first carseat for about 6 months, we decided to invest in a second seat to keep at our nanny's house. These carseats are quite the investment, and of course safety is our number 1 priority. Unfortunately, on one occasion our nanny had difficulty removing the carseat and had to resort to force to get the clicktight dial to turn. We called the customer service line, and I explained the situation. I was honest about not being there to witness whether or not the un-install was being conducted correctly, but that we had instructed our nanny on how, given her the manual, and even had her perform the task a few times in the past. The representative immediately sent out a replacement carseat for our family and made returning our existing carseat a breeze. 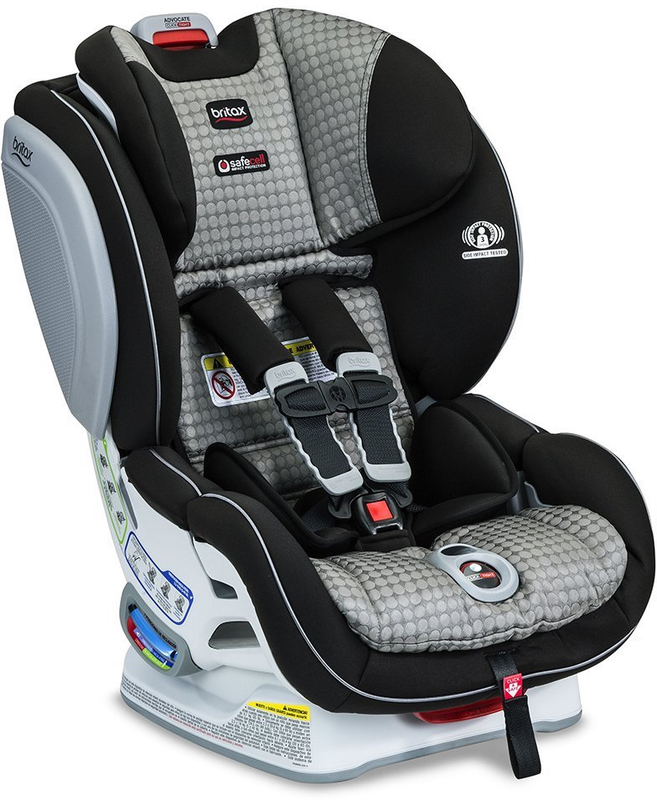 It is clear that Britax stands for safety first, and as a mother, that is refreshing. I am really amazed at how this company has put safety in front of all other questions. As a family, we have 2 britax carseats and a Bob stroller. The products are of great quality, easy to use, and informative! I received this product for free in exchange for my honest review. I've been using this seat for a few weeks and so far I'm very pleased with it. The initial installation took me a bit longer than I had expected. Make sure that you pre-tilt the base before you install this in your vehicle, or you'll be sorry. The click tight feature on the harness straps is a really nice feature. It makes it super easy to loosen and tighten each time baby gets in or out. Attaching the car seat belt and securing it is also SUPER easy. You just feed it through and click the seat closed to tighten. No more struggling with the belts. The ARB (anti-rebound bar) was easy to install but feels a little strange because it doesn't click in or hold securely onto the car seat. It does stay in place once the seat is fully installed but can easily fall out of the slots if you readjust or move the seat. 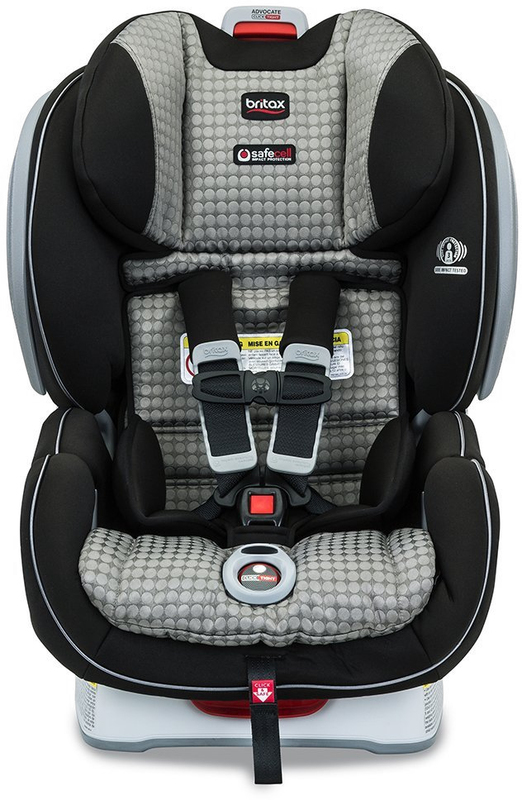 Overall, I really do like this seat and would recommend it to other parents. To me, the extra security and safety measures are awesome. The accessories are really handy and great for everyday use. I also love the fact that I can continue to use this seat as she grows. Now my baby falls asleep so fast in her new seat and I can't believe this fits so tight and secure in my small compact car. It's a keeper! I think this is by far the best car seat on the market. It is safe and easy to install and highly recommend for your little one!!! 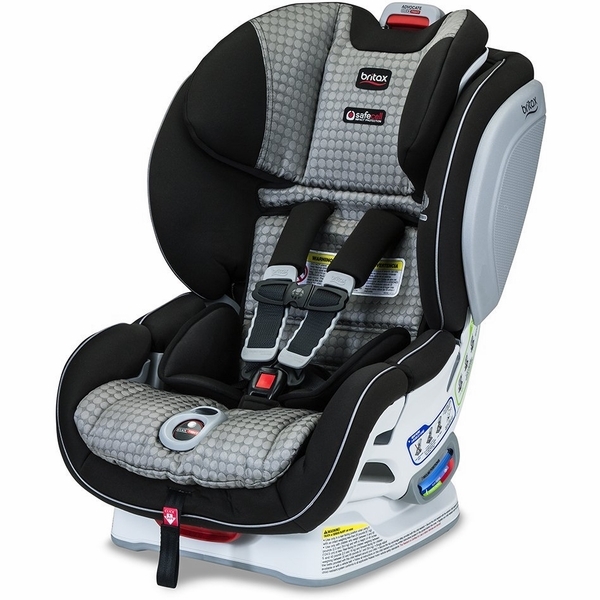 As a family we have always preferred Britax convertible carseats because of their safety ratings. 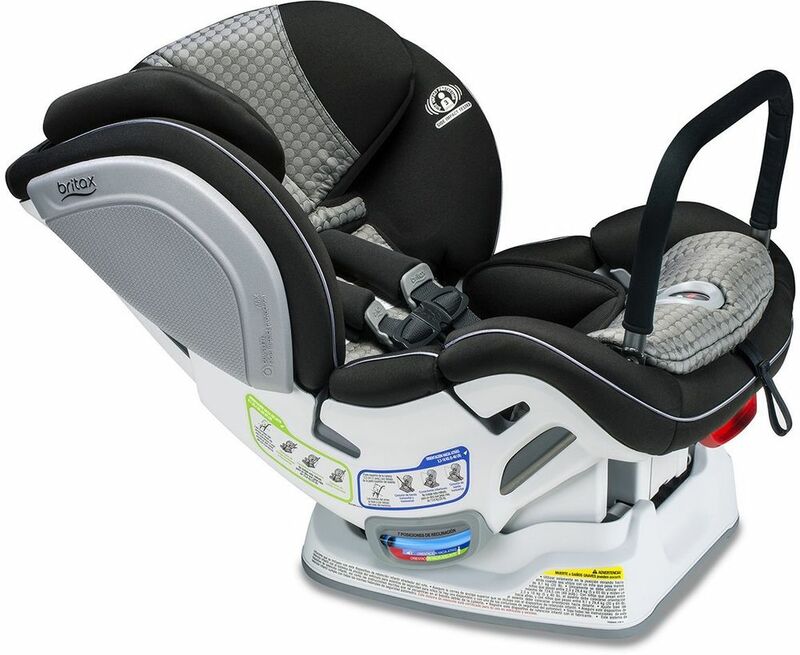 We have owned multiple Britax models (pavilion, marathon, boulevard) and have loved them all. 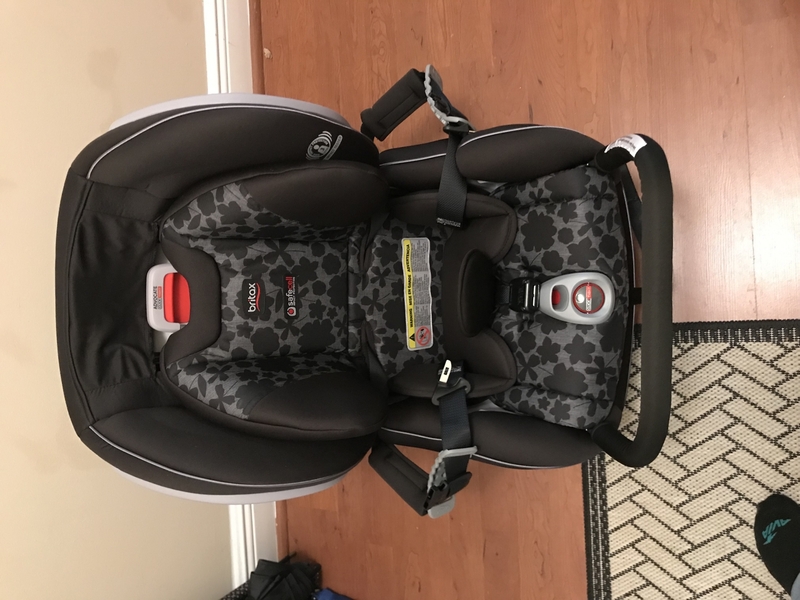 I received this carseat in trade for my fair and honest review. My husband and I have come to call the Advocate model the "baby cadiallc" because it is obvious my daughter is riding safely and so comfortably! The design far surpasses all past models. I love the new pocket on the back for the anchor strap. In previous models it was a cloth sack and now it is a sturdy built in pocket - love it! It's small thoughtful details like this one that makes the advocate so extraordinary! 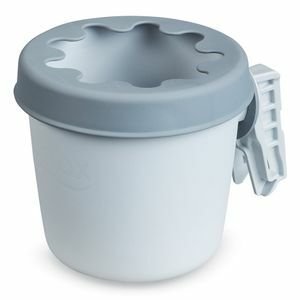 The optional cupholder and snack bag accessories are great too! As a mother with multiple kids in the car it is so nice to now not have to turn around while driving to hand back a water bottle. Installation with the new ClickTight system is so easy - it is truly amazing. 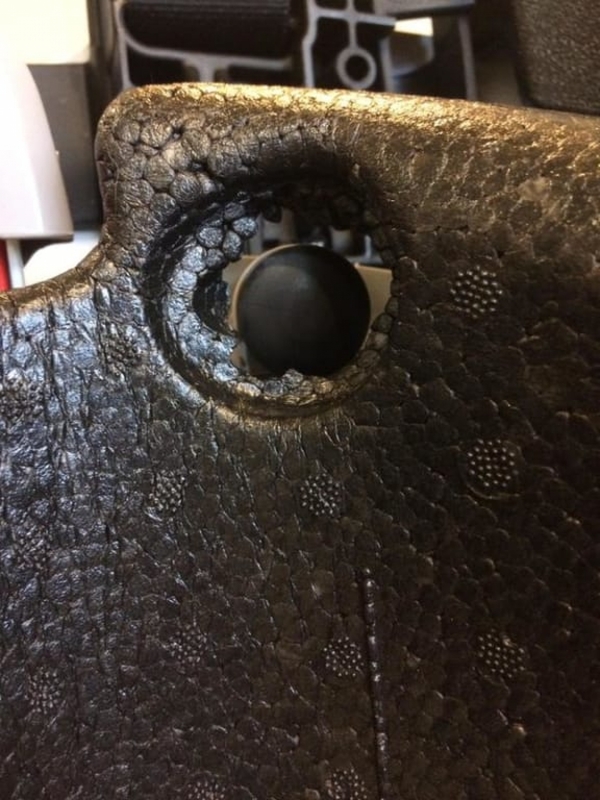 After having my installed carseat reviewed (a marathon model) I was told that I had installed it incorrectly (and I think I am pretty good at installing carseats). After installing the new Advocate with the ClickTight system in my car the tech told me I had installed it correctly!!!! To know that I can properly install my carseat on my own is a wonderful thing. All of the safety features in the Advocate ClickTight with ARB is mind blowing. I was fortunate enough to watch a demonstration of this carseat and see first hand all of its capabilities and safety technology. From the EPP foam (foam used in motorcycle helmets), impact absorbing base, rebound bar, divided anchor strap (to separate impact motion), Britax in-facility safety testing, along with many more makes it very clear to be a Britax customer. With all the running around mothers do (errands, to and from school, activities, play-dates, travel) it is a no-brainer to want your child to be in the safest and most comfortable carseat while doing the most dangerous thing - driving in a car. From installation to clicking my daughter in each time I am so glad to know that she is safe and comfortable! Thank you Britax! This is a good product but the only thing i don't like it's because the seats don't have cup holder. This car seat has been the easiest to install of ANY car seat I have used. It seems the most comfortable for my girls and is well padded. I feel they are very safe in their seats. Have been using this car seat for over a year now and love it. My son is comfortable in it and never complains being in it. It is a struggle to do the recline on it. Maybe I am doing something wrong. I've tried a couple different carseats and by far this my favorite one. It's safe and sturdy with the side impact protection without being too big while in the rear facing position. My favorite features are the easy to read ball gauge that shows if your seat is sitting at the correct angle (it's ridiculous to have to eyeball when your childs safety is at stake) and the padded chest harness (a rare find). I purchased this seat 6 months ago. I Love this seat. I had an issue with the seat and called Britax customer service and they replaced the seat within 3 days. So happy with their customer service. I love this seat! It is SO user friendly and the clicktight install easily allows my son to ride with aunts or grandparents, while staying extra safe! My daughter always seems comfy in her seat. The padded area around her head keeps her head from flinging all over the place. My favorite part is the reclining positions. Strapping it in and out of the car has been easy too. My grandaughter love her car seat, you can tell she falls right to sleep, and what a great fit. We love the clicktight feature!! Super fast install. The angle was a bit tough to get just right but we finally got it. This is a 5 star seat. I gave 4 stars because the straps sometimes get uneven. That's annoying to uninstall the seat, even up the straps and reinstall. Great seat otherwise! The Advocate ClickTight ARB includes the ClickTight Installation System for the safest and easiest installation in every car, every time. This seat also offers 3 layers of side impact protection, an impact-absorbing base, steel frame, and an anti-rebound bar for maximum safety. The Anti-Rebound Bar (ARB) minimizes forces associated with crashes by stabilizing the car seat when installed rear-facing. Rest assured your child’s harness is within range of proper tightness thanks to the Click & Safe Snug Harness Indicator. Premium padding and fabrics wrap your child in comfort. 3 layers of side protection formed by a deep energy-absorbing shell, quick-adjust head protection and side cushions, absorb energy and shield your child from the most severe type of collision. Impact-absorbing harness pads absorb energy and reduce your child’s forward movement during an impact.